As part of a tour of Bollington and Macclesfield’s tourism gems, Macclesfield MP, David Rutley, joined Marketing Cheshire Chief Executive, Katrina Michel, to visit the multi-awarding winning Kerridge End Cottages, as part of a drive to showcase the strength of the businesses contributing to the area’s visitor economy. 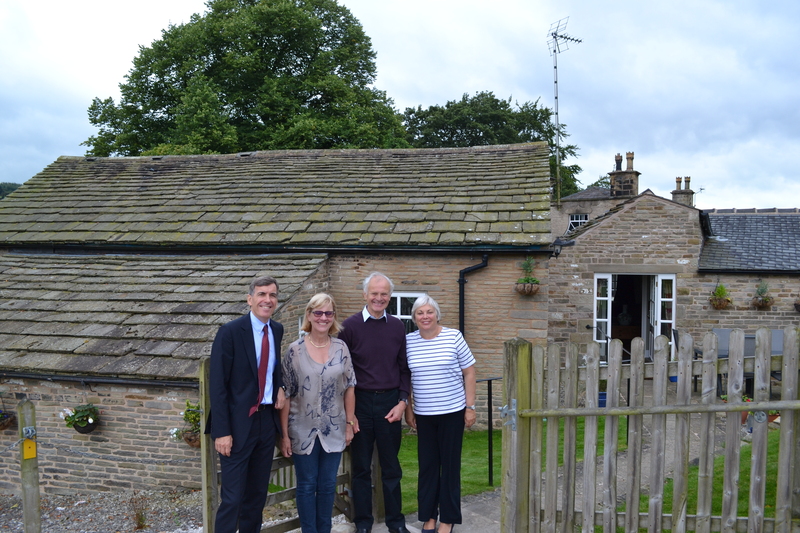 David and Katrina met with Ivor and Lyn Williams, owners of Kerridge End Cottages, a range of beautifully restored Kerridge stone buildings providing three multi-award winning self-catering holiday cottages. The cottages are graded 5 star gold by Enjoy England, and are winners of a multitude of other awards, including Enjoy England’s Gold Award for exceptional quality of accommodation and service this year and the TripAdvisor Certificate of Excellence 2016, amongst many others. 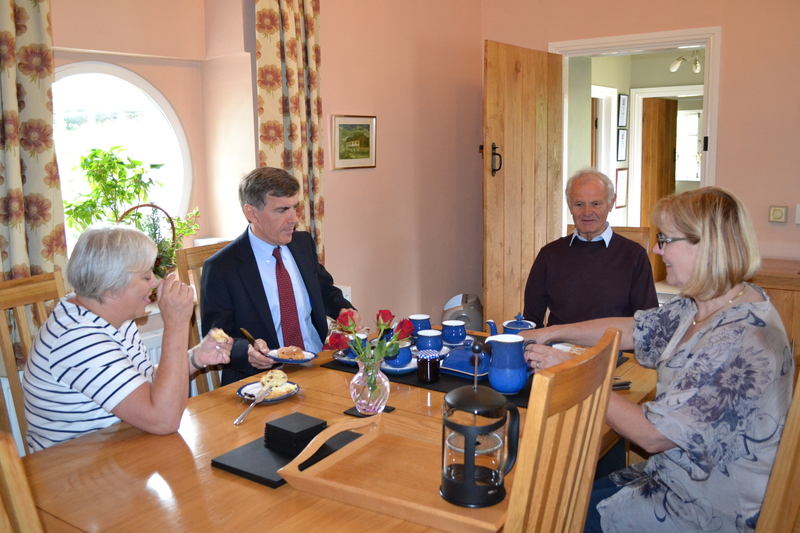 David Rutley, Macclesfield MP, said: “It was fantastic to visit Kerridge End Cottages and meet Ivor and Lyn. Their commitment to providing the best possible experience for visitors is wonderful to see, together with their attention to detail and the quality of the accommodation they provide. “It is clear to see why the cottages are so popular with visitors that want to come and explore the beautiful surroundings of our area.